There is no denying I love a great party game. 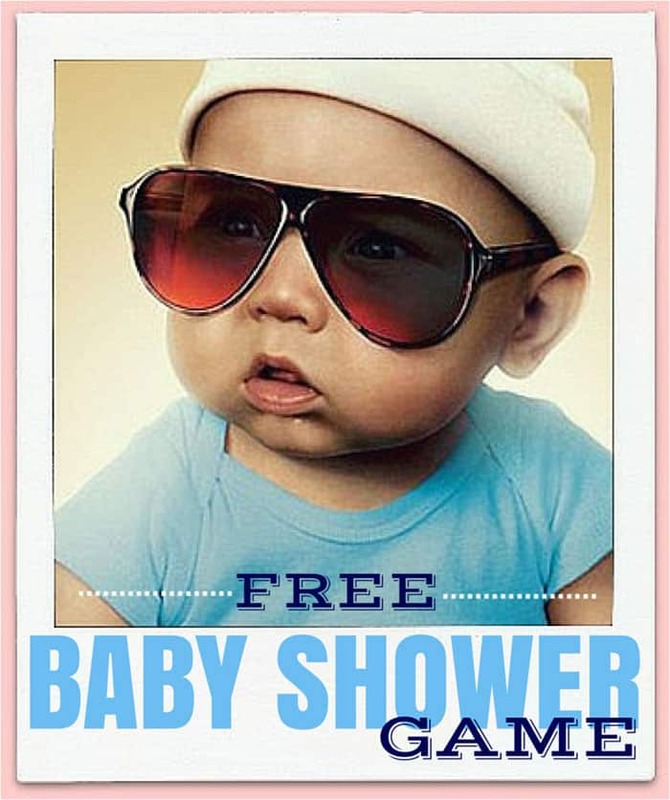 Last year I shared a Bridal Shower Game I created, and I just had to make a Fun Baby Shower Game version too! First you will need to print the Baby Shower Game Cards. There are 3 cards per sheet, you’ll need one per guest. The game cards list 26 movies and TV shows that have a pregnancy or baby theme. Then you will need to print a photo from each movie (links included at the bottom of the post). There are a mixture of movies and shows so the game is appropriate for any generation. Can you instantly think of a few of these titles form the photos? 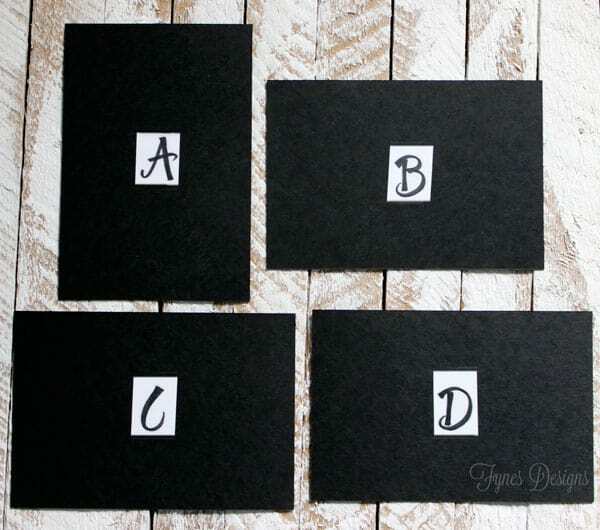 Mount each photo on a piece of cardstock and put the letters A-Z on the back of each photo. I used Alphabet stickers. Each guest will need a pen or pencil and a game card. Sitting in a circle pass each photo around the circle. Give the guests approximately 30 seconds to look at the photo and write the letter from the back of the photo onto the game card next to the corresponding movie. You may find it easiest to use a timer. Then pass the card onto the next person in the circle, making sure each guest sees all the photos. After all the photos have circled around you can call off the correct order of the photos, or it is fun to hold the photo up and get people to call out the answer. The player with the most correct answers at the end of the game wins a prize. This fun little baby shower game can be saved and used over and over again, you’ll just need to print new game cards. Honestly I’d have fun playing this game at any kind of party (but like I said, I’m a sucker for a fun game!). I hope you have LOTS of fun at your baby shower, and congratulations to Mom! I’m sharing this with my friends! Oh my gosh! I HATE baby shower games and this is AMAZING!!! Now I’m trying to figure out when I’m hosting another shower just so I can play this! Pinning! Thanks Jenn! Same here, I made this when I had no shower to attend, come on preggos! how fun! My sister is pregnant right now and I’m brainstorming baby shower ideas, but most “classic” baby shower games are kind of lame. This one seems more modern & fun! great idea! Thanks Lexi, it is a lot of fun!! I LOVE this! In fact, I think it’s such a cute idea that I’ve chosen it as one of my top 5 from Share The Wealth Sunday! I’ve also featured it on my FB page. I hope you’ll join us again at 7pm tonight to link up more great posts! Have a fabulous weekend!